Once you get the doctors' approval and confirm your parent's insurance coverage for a trip, it's time to start making plans! The following suggestions will help you plan a trip that incorporates your parent's hemodialysis treatments. Today, kidney disease is the 9th leading cause of death in the United States. About 23 million Americans currently suffer from chronic kidney disease, and nearly 400,000 of them need dialysis. Most use hemodialysis, a procedure that can be done either at home or in a specialized facility and requires the patient to be connected to a large machine for hours at a time, several days a week. If your parent uses hemodialysis, you may think that such a treatment regimen means that his or her traveling days are done. But that doesn't have to be the case! With a little bit of planning, it's quite possible for your parent to travel safely and continue treatments while on vacation. First, though, check with your parent's doctors to make sure that he or she is healthy enough for travel. Then look into your parent's insurance situation to determine what coverage he or she has. (For example, Medicare and other insurance might not cover dialysis or related doctor's fees at dialysis centers other than your parent's usual location.) If your parent's existing insurance plans do not provide coverage at other facilities, you'll want to inquire about the costs at the destination center. 1. Don't do home hemodialysis while on vacation. Even if your parent usually does home hemodialysis, treatment centers may be preferable while traveling because they eliminate the need to haul all of your parent's dialysis equipment with you (and risk damaging it). Discuss with your parent and his or her current dialysis care team whether home dialysis or in-center treatment is the best option during your trip. If your parent decides to stick with home dialysis while on the road, make sure you know the location of the center closest to where you'll be staying. When you reach your destination, contact the staff at that center to let them know that you're in the area and to find out what their emergency procedures are so you know what to do if your parent has a problem. 2. Don't book a flight before finding a hemodialysis center that can accommodate your parent. 3. Have your parent's usual dialysis center fax his or her medical file to the center at your destination well in advance of your trip. 4. 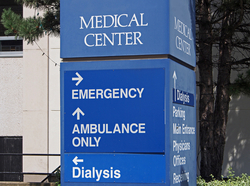 Schedule a pre-dialysis visit at the center for shortly after you arrive at your destination. Never show up unexpectedly at a center, even for non-treatment visits--always make appointments in advance. Use your pre-appointment visit to confirm your parent's appointment schedule and verify that this center has your parent's medical file. You don't want to be figuring out those details while your parent is waiting to receive treatment. So be sure to identify and handle any problems well in advance. 5. Bring a copy of your parent's medical file to the dialysis center. Even if the center at your destination has received your parent's records from his or her usual center, having all the necessary paperwork on hand can expedite treatment if your parent has any problems while onsite. 6. Research local hospitals before you go. 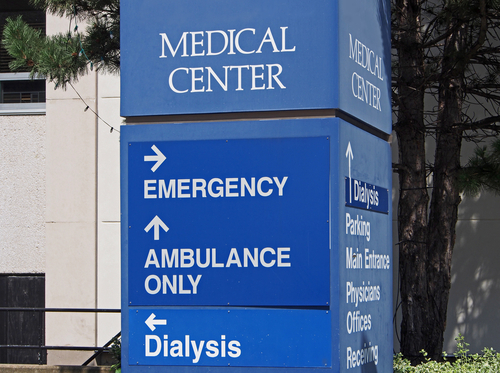 Although the dialysis center your parent visits while on vacation can offer assistance if he or she becomes ill, it's a good idea to know where nearby hospitals are in case your parent needs emergency care. Prepare a list of them before your trip, and be sure to include hospitals near your hotel as well as in areas where you'll be touring. 7. Always carry your parent's medical paperwork with you. When on vacation, there's a chance your parent may exceed his or her normal activity levels, and exertion can trigger medical issues. So be sure to carry your parent's medical information with you at all times in case he or she requires emergency care. When traveling with any aging parent, remember not to overdue the activities and to build in plenty of down time so everyone can relax. When traveling with a parent who uses dialysis, you may need to take things even easier, because dialysis can make people tire more readily. With good information and plenty of planning, though, dialysis won't prevent you and your parent from having a terrific vacation together!